The Red Oak can easily reach a height of 60′ and bears leaves that are between 5″-9″ long. 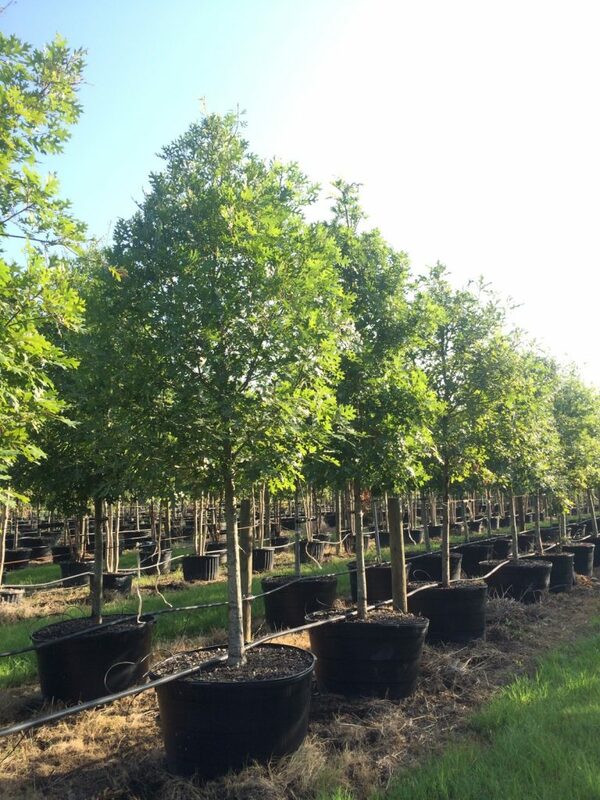 While a sapling can survive partial shade, eventually Red Oaks need full sunlight to reach it’s maximum height. Red Oaks tend to do best in sandy loam settings. These beautiful trees get their colorful name from the red-orange wood and the leaves that turn a vibrant orange to red in the Fall!